Larios 12 Botanicals Premium is a Spanish gin made using 12 botanicals which are distilled five times. 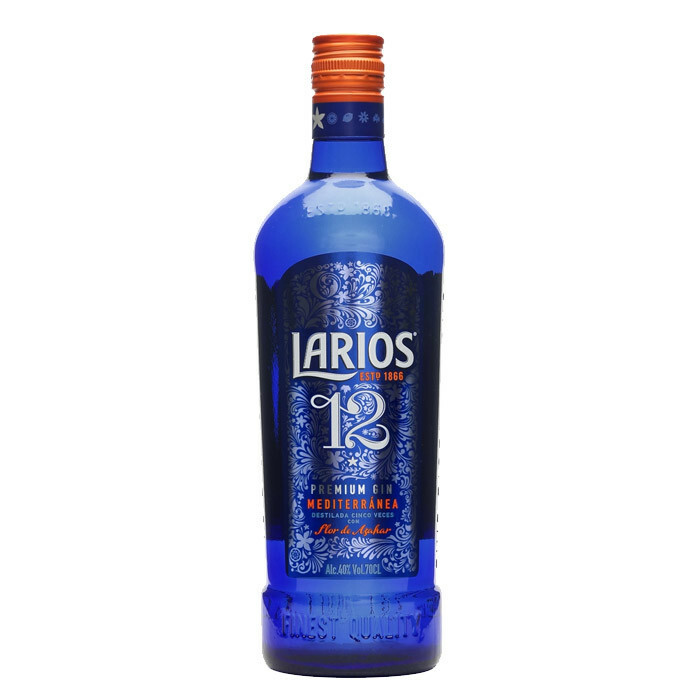 Larios 12 is made with botanicals including wild juniper, nutmeg, angelica root, coriander, Mediterranean lemon, orange, tangerine, mandarin, clementine, grapefruit, lime and orange blossom. Nose: The nose is bright and awash with orange blossoms and coriander. Quite nice, very inviting, and decidedly contemporary. Palate: The palate is still bright with lots of citrus: a melange of tangelo, orange, and particularly Minneola. The mid-palate signals a shift wherein juniper and Pfeffernüsse cookie excites the palate. Finish: Grapefruit rind on the finish.